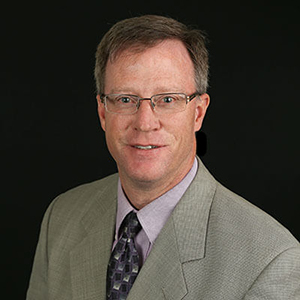 Tim Larsen – SVP of Community Banking Tim joined TS Banking Group in July 2015 as Business Process Improvement Coordinator and then later was promoted to Business Process Improvement Manager. In these roles Tim worked to develop strategic process improvements and improve operational effectiveness across the company. 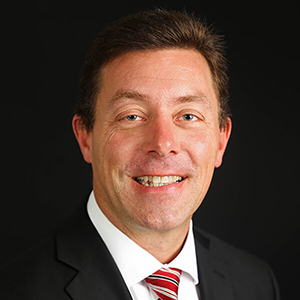 In July 2018, Tim was named SVP of Community Banking where he leads the strategic efforts of TS Bank’s community banking division. Tim graduated from Central College with a degree in Elementary Education and later received a master’s degree at Creighton University. Prior to entering the banking industry, he had a successful career in education that included roles in administration, classroom teacher, and coach. Tim is active in the community and has served as a board member for Treynor Community Outreach and a spot group leader at First Christian Church in Council Bluffs. Dave Wise – Market President, Council Bluffs Dave was named Market President for TS Bank in October 2018. 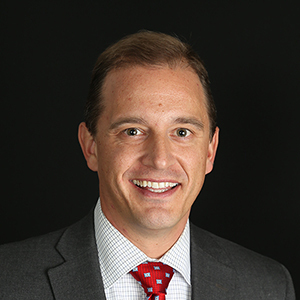 He brings 18 years of financial services industry experience, including credit analysis, treasury management, relationship management, commercial and business banking, along with equipment and real estate financing. Dave earned his undergraduate degree and MBA from Creighton University. In his free time he enjoys volunteering in the community and is a past Treasurer of the Omaha Community Playhouse Board of Trustees, coaching youth sports, exercising, traveling and spending time with family and friends. Dan Rossell – Market President, Atlantic Dan currently serves as the Market President for the Atlantic branch. 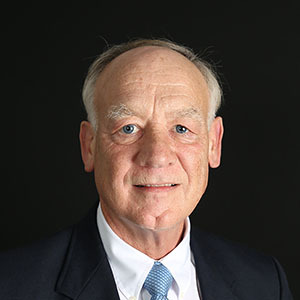 Prior to TS Bank, Dan worked for Rolling Hills Bank and Trust in Atlantic for 21 years where he was involved with all facets of banking including, ag and commercial lending, Compliance Officer, Market President and Senior Leader. 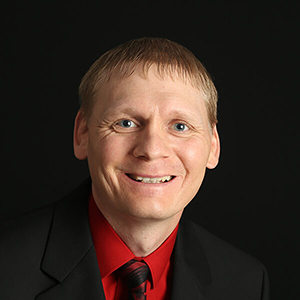 Dan is a graduate of Northwestern College, holding a BA in Business Administration with career concentrations in Finance and Economics. Additionally, he graduated from the School of Banking with special honors. Russ Maguire – VP, Consumer Credit, Treynor Russ joined TS Bank in 1986 as a loan rep, and over the years has moved into his current position as VP of Consumer Lending and Lending Compliance Officer. He oversees the consumer lending area and assists with training the Universal Bankers on consumer lending and compliance. He is also involved with consumer real estate lending including construction, home equity and secondary market home loan financing. Russ graduated from Tarkio College in 1982 with a Bachelor of Arts Degree in Business Admin and minor in Economics. He has worked with both Ag/Commercial and Consumer lending departments and combines over 30 years of banking knowledge and experience. Russ is originally from Treynor and has been on the volunteer fire department for 31 years where he currently serves as the active chief for the past 24 years. Marie Allely – VP of Business Banking, Council Bluffs Marie Allely started her career with TS Bank in August 2012 and today serves as Vice President of Business Banking. In this role, Marie facilitates commercial loans and business banking relationships by matching clients appropriately with products and services that best serve their business needs. Marie graduated from the University of Northern Iowa in 1998 with a Bachelor of Arts in Business. She was an Area Sales Manager for a large department store chain before entering the banking industry. Marie began her banking career in 2001 and has held a number of different titles such as Loan Secretary, Loan Documentation Specialist, Personal Banking Officer, and Commercial Loan Officer. 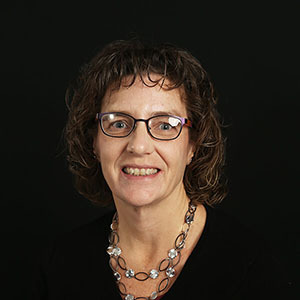 Marie has served on the Board of Directors for All Care Health Center in Council Bluffs since 2011, and is the current Vice Chair of the Board. She also has been on the Board of Directors for the Hughes Irons Facilities Corporation since 2010. 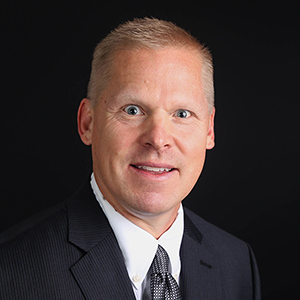 Timothy Johansen – VP of Business Banking, Council Bluffs Timothy joined TS Bank in August of 2017 as the VP of Business Banking and offices out of the Council Bluffs downtown location. Previously, Timothy was AVP of Business Banking at a local bank in Omaha for 3 years. Other prior experience includes being a Commercial Relationship Manager, as well as branch banking roles in various local banks throughout the area. Timothy graduated from Metropolitan Community College with a degree in Business Management in 2004. He also is a graduate of the Kansas / Nebraska Schools of Banking and Leadership for Life. Timothy currently works in our community as a CB Ambassador with the Council Bluffs Chamber of Commerce, a mentor with the TeamMates Program, a volunteer on the Green Hills Area Education Agency Advisory Board and a volunteer with Pottawattamie County Law Enforcement. He has also given his time in the past with Junior Achievement and The Food Bank of the Heartland. 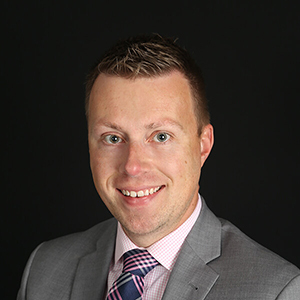 Tysen Christensen – VP of Ag and Business Banking, Corning Tysen’s career in banking began immediately after his college graduation in 2004 with Union Bank in Corning as a CSR/Teller. In 2006, he transitioned to Okey Vernon Bank as a VP, Loan Officer and worked his way to become VP, Senior Loan Officer prior to TS Bank’s acquisition in 2016. Tysen currently serves as the VP of Business Banking out of the Corning location. Bill Dickey – AVP of Ag and Business Banking Bill joined TS Bank in January of 2019 as the AVP of Ag and Business Banking and offices out of the Corning location. Dickey has over 35 years in agricultural and business lending serving the last 30 years at Farmers and Merchants State Bank of Winterset, Iowa. He graduated with a Bachelor of Science degree in Ag Business from Iowa State University. He later attended the Graduate School of Banking at Wisconsin-Madison and received his MBA degree from Drake University. Kelly Herring – AVP of Consumer Credit, Corning Kelly joined TS Bank in 2005 and serves as the AVP of Consumer Credit in the Corning TS Bank branch location. Kelly works with clients to help them with any of their consumer credit needs, whether it be helping the client with a loan or just coaching them on good credit practices. She is also a registered mortgage lender and is able to do purchase loans, refinances, construction loans, and Home Equity loans. Kelly is a native of Corning and continues to reside there. She is a graduate of Buena Vista University with her Bachelor’s degree in Education. 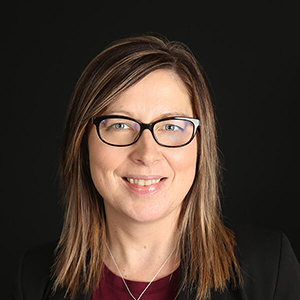 In the many years that Kelly has been with the bank, she has worked in many departments, such as, proof and imaging, bookkeeping and opening new accounts and receptionist. She became a consumer loan officer in July 2013. Kelly is active within her community and serves as treasurer on the Adams County Commission on Sustainability Board, the Adams Co. Ministerial Assn., and the Corning Municipal Utility Board. Kelly also enjoys volunteering with the Corning Elementary Parent Teacher Organization when she can. Kelly also is the Corning branch liaison for the marketing and community reinvestment departments for TS Bank. Rick Ohlinger – VP of Ag Banking Rick joined TS Bank in April 2015. In his current role as VP of Ag Banking, Rick works one-on-one with clients to provide innovative and competitive financing options. He manages the credit relationship through the entire process and works closely with the analysts. Through his various roles within the banking industry, Rick has gained vast experience in agricultural lending and offers guidance and expertise in finding the right financing for Midwest producers. 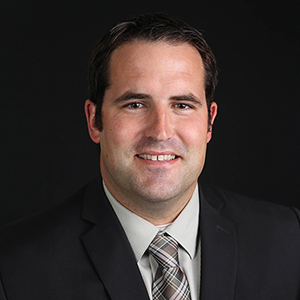 Matt Saar – VP of Ag Banking Matt joined TS Bank in September 2014 as a credit analyst. 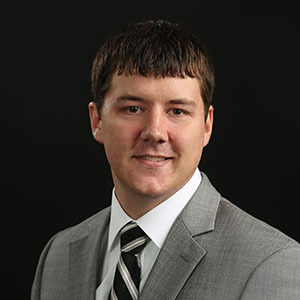 With his prior experience as a credit analyst for the bank, Matt has a good understanding of agricultural finance and the bank’s analysis practices. He brings that experience with him in his role as VP of Ag Banking and works with producers to streamline the loan approval process and provide the best loan options available. 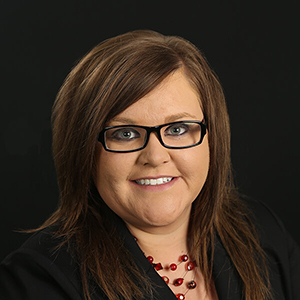 Lacey Sampson – VP of Personal Banking, Council Bluffs/Treynor Lacey joined TS Bank in June of 2016, and today she serves as the Vice President of Personal Banking. Lacey’s focus with TS Bank, is overseeing the frontline operations in Council Bluffs and Treynor, ensuring excellent client service. Her work experience includes 10 years with Midstates Bank, where she held many positions from teller to Convenience Banking Manager. Lacey has experience in customer service, personal banking, business banking, lending functions, and treasury services. 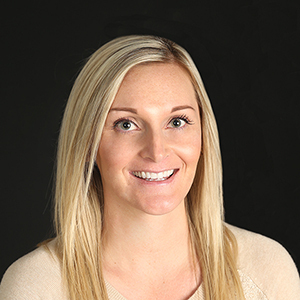 Lacey received an Associate’s Degree in Business Administration from Iowa Western Community College, as well as a Bachelor’s Degree in Finance with a minor in Criminal Justice from Buena Vista University. 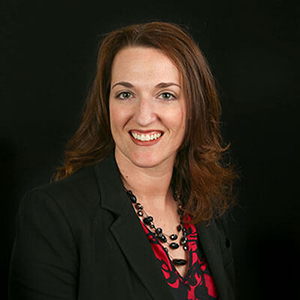 Lacey Currently serves on the Advisory Board for the Iowa Bankers Association’s Consumer Credit School, she also serves on the Board of Directors for the Council Bluffs Housing Trust Fund. Lacey enjoys community based projects especially those that benefit children and the homeless. 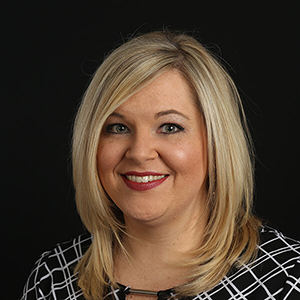 Jen Brammer – AVP of Personal Banking, Treynor Jen currently serves as the AVP of Personal Banking and Branch Manager for the Treynor location. She joined TS Bank in 2009 as a Client Service Representative, transitioned into a role as Universal Banker and worked her way up to her current role. Jen graduated from Treynor High School in 2007 and went on to earn her degree in Business Administration from Bellevue University in 2011. She is also a part of TS Banking Group’s Wellness Committee. Amy Coenen – AVP of Personal Banking, Atlantic Amy currently serves as the AVP of Personal Banking and Branch Manager for the Atlantic location. She joined TS Bank in 2017 after serving as Wells Fargo Branch Manager in Atlantic. She has been in branch management for three years and has been in the banking industry for a total of seven years. Her career background includes extensive client relationship experience, and she was drawn to community banking because of the relationships that are built with the clients. Pam Haley – AVP of Personal Banking, Corning Pam joined Okey Vernon bank in early 1989. Prior to TS Bank’s acquisition, Pam fulfilled various positions and served as one of the Board of Directors. Today, Pam is the AVP of Personal Banking and Branch Manager of the Corning location. She serves as the Treasurer for the Johnny Carson Birthplace Society and is a committee member for Southwest Iowa Relay for Life. She also raises funds each year for the Special Olympics. Pam is a graduate of Corning High School and Southwestern Community College. To learn more about TS Banking Group, visit tsbg.com. To learn more about TS Ag Finance, visit tsagfinance.com. To learn more about TS Prosperity Group, visit tsprosperity.com.